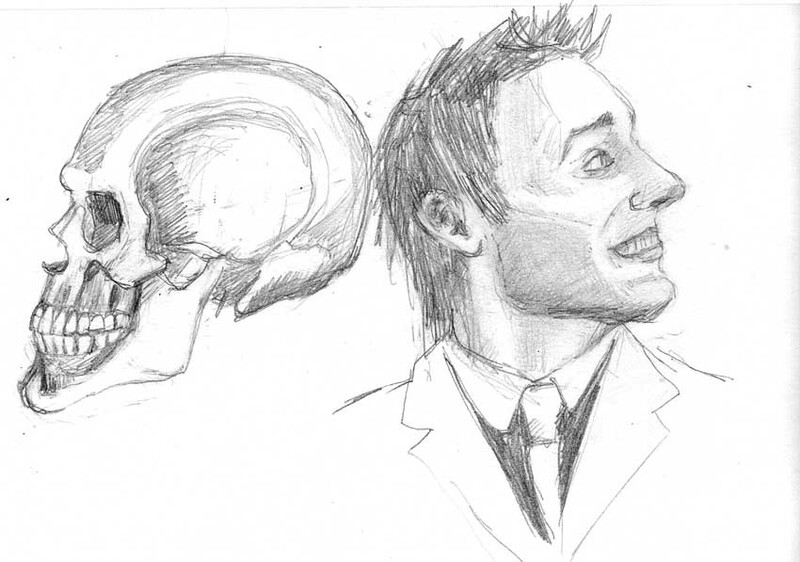 Smiley Skull and Smiley Guy study, HB pencil, 4x6"
In preparation for my Alla Prima Portrait Painting workshop with Rose Frantzen next month, I wanted to work on my drawing skills so I can keep up in class. 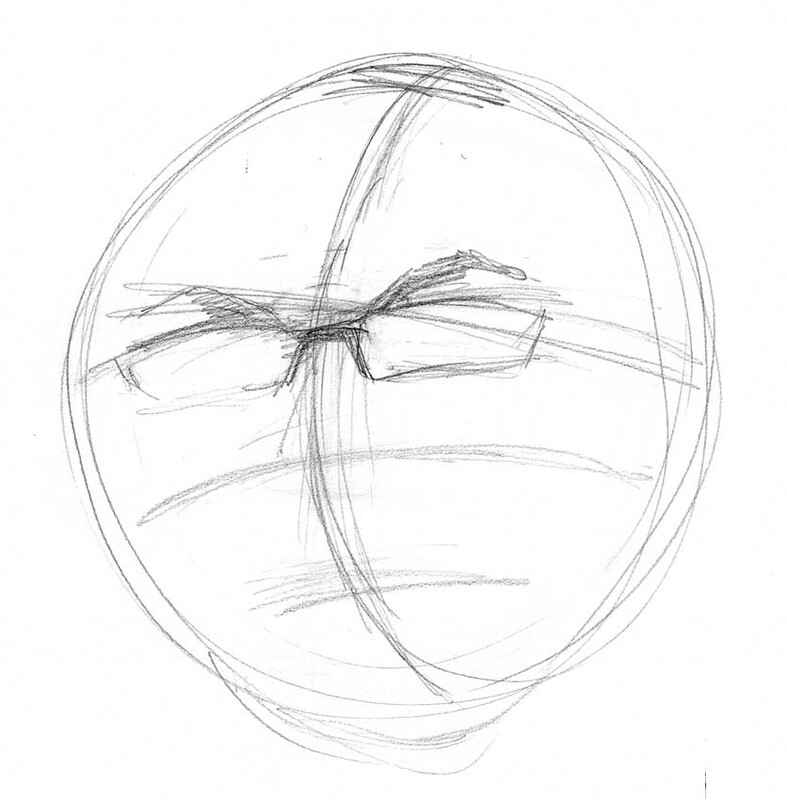 Although I draw all the time, I discovered I really had no understanding of head and facial construction. 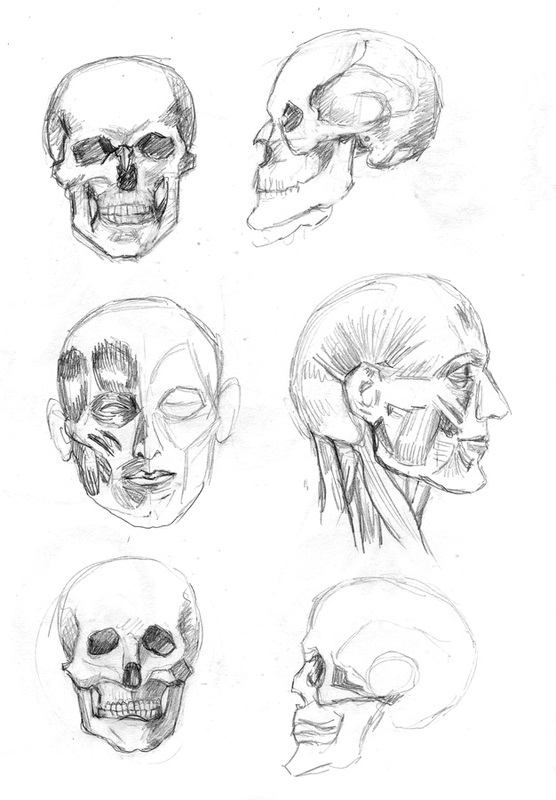 Skulls and Faces in the Same Positions, HB pencil, 11x9"
I usually draw what I see, compare shapes, angles and plumb lines to try to get some accuracy, but I don’t worry about it too much. That wasn’t cutting it when it came to drawing heads. 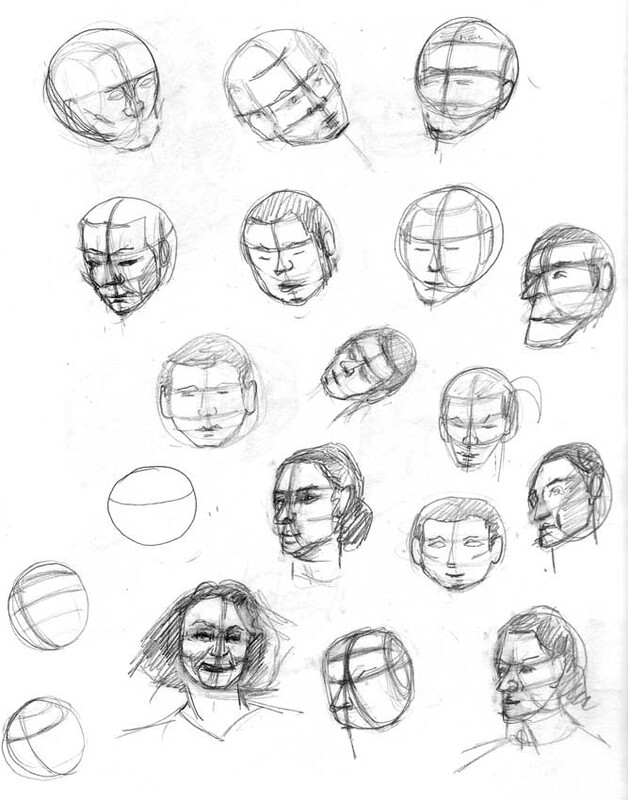 So I turned to the great book by Andrew Loomis, recently back in print, Drawing the Head and Hands . His books are also available as PDFs here on the web. There is an excellent explanation with clear examples of the Loomis approach here on Stan Propopenko’s blog so I won’t go into it here. 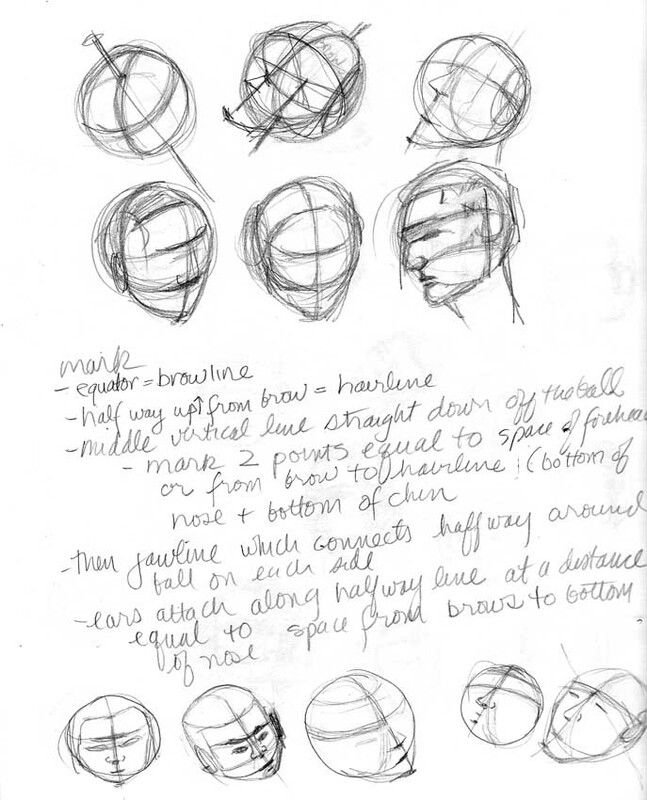 All of my drawings in this post started with the Loomis ball divided in thirds with the jaw then added on. 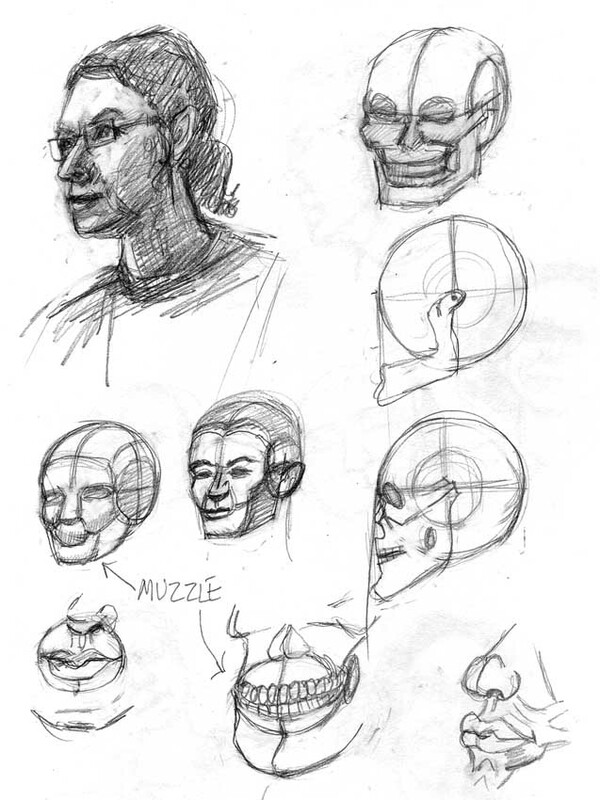 Skulls and Muscles from Loomis book, 11x9"
I worked through the Loomis book and when I came to his skull and muscle drawings in the book I tried copying them (above). 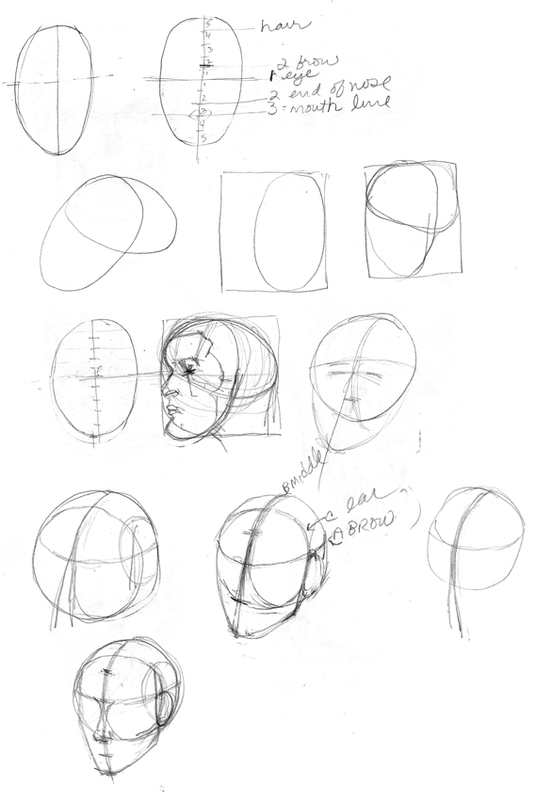 I also tried some other books’ methods of constructing heads (using an egg shape, a block, double ovals, etc.) but none worked as well as the Loomis approach. 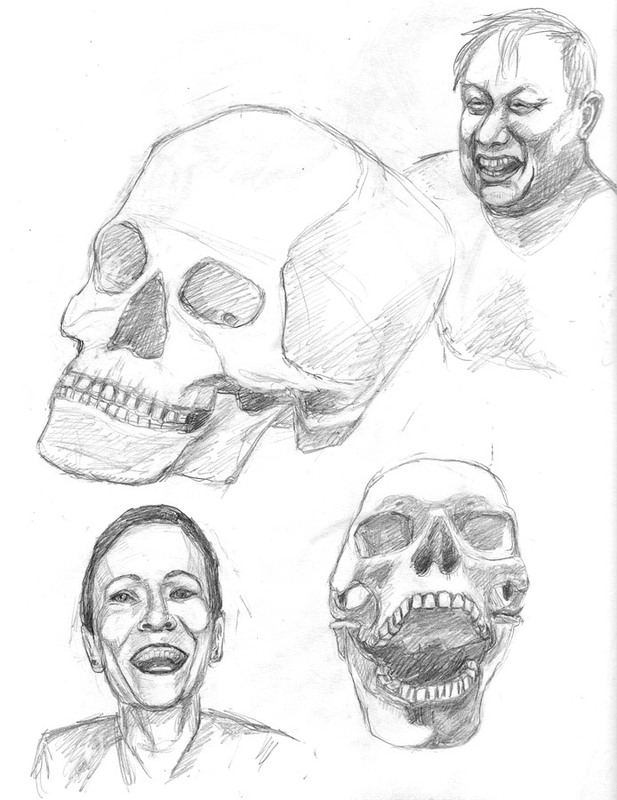 I wanted to do more than copying sketches so I started drawing skulls and people I found on a Google image search, drawing the people in about the same position as the skulls (the two pics at top of post and the one below). 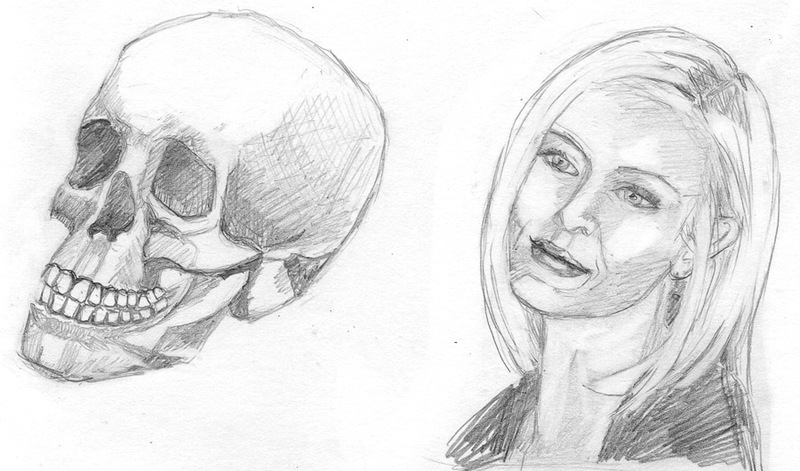 3/4 View Skull and Pretty Girl, HB pencil, 4x6"
Next I’m going to borrow an actual skull cast and practice drawing it in different positions. 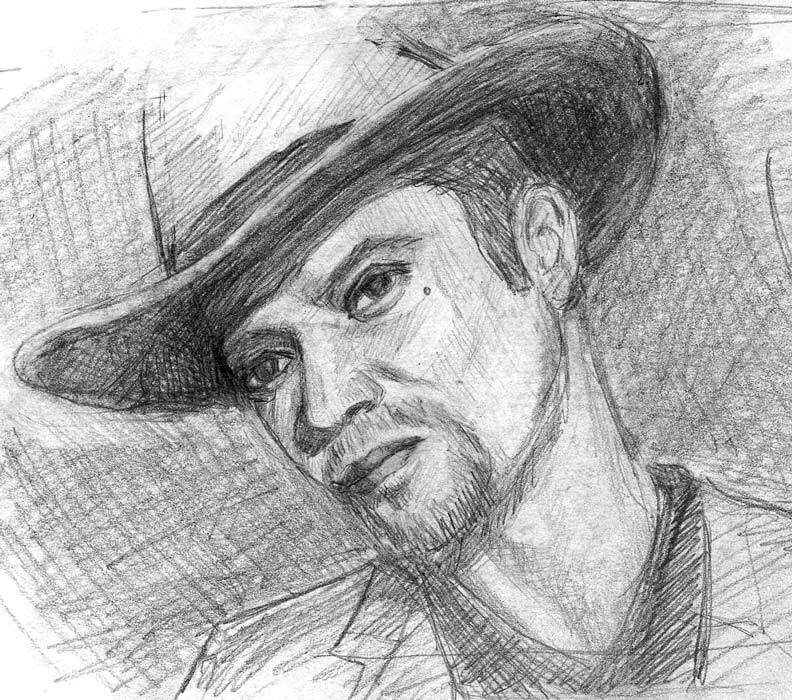 At the workshop I want to learn to paint portraits; not spend the time struggling with the drawing. 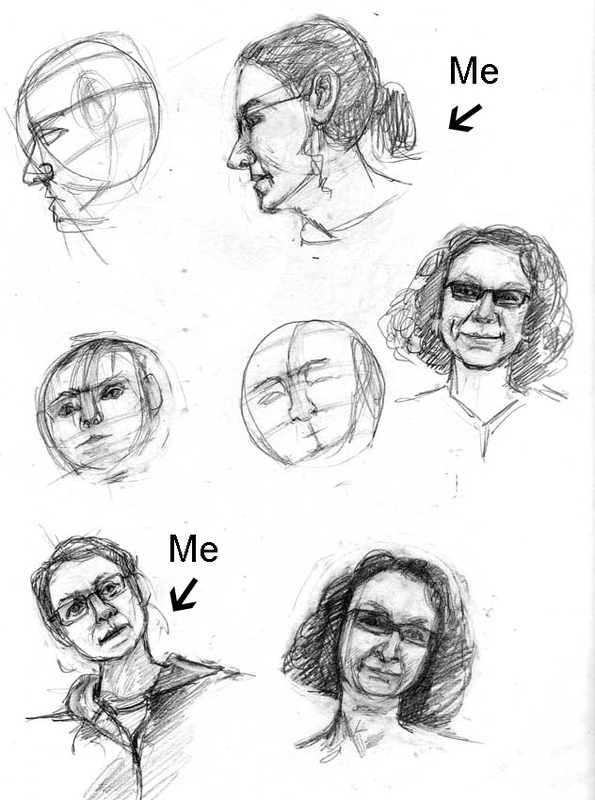 You can see how much my drawing has already improved in the sketches below displayed in the order I did them. 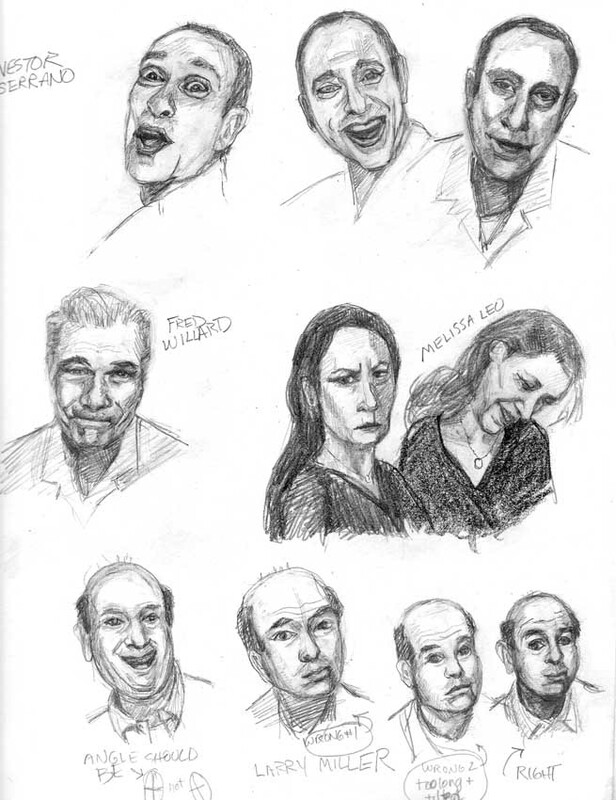 The reference photos for the pictures of actors are from the book In Character: Actors Acting ; others are from the web. You can click any of the images to see them enlarged in a slide show. 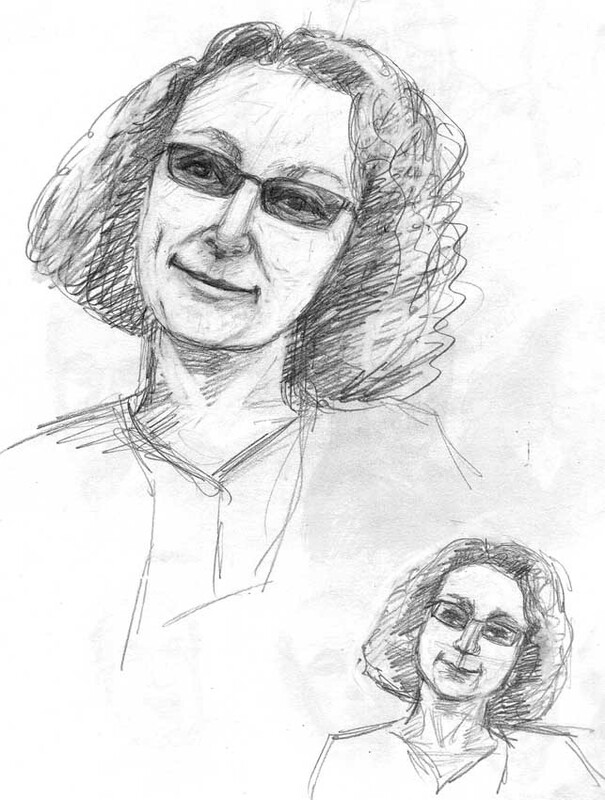 Me (good likeness) & B.
OMG Jana, I am SO impressed by your drawing skills that I must check out that book! This is something that I have been wanting to work on too, so you have inspired me once again. Thanks. If I wasn’t heading off to Mexico tomorrow I would get right on it! Hi Jana, downloaded all of the PDFs…look forward to learning! Wow, this is so impressive! You really dug into this subject, and seem to have learned a lot from it! 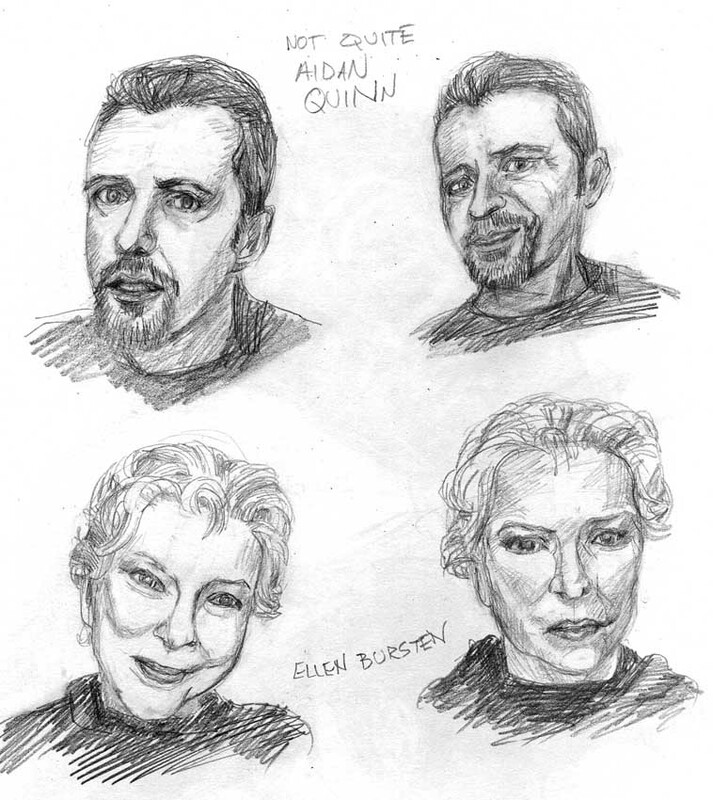 Thanks for sharing, it’s a great inspiration to follow your process here. And thanks for the links too, I’m going to check those pdfs out too! Thanks so much, Jana. Your illustrations and explanations here are so interesting and helpful.I have BOOKMARKED these links, too. Really appreciate how you take us along on your investigations. I am blown away by your new skill!!! How satisfying it must be to see that kind of progress! 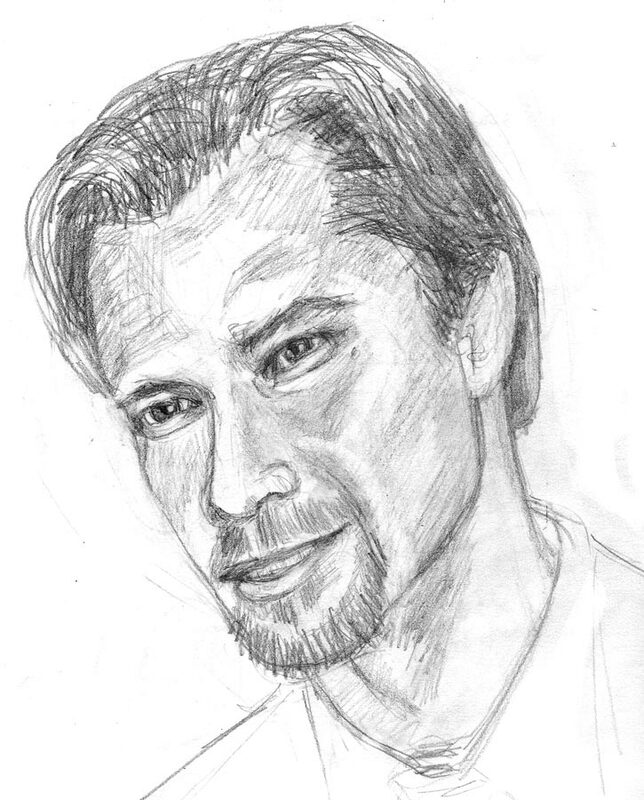 I downloaded all the Loomis pdfs and hope to be practicing and drawing along with you! Thanks so much for this! I’ve just finished a 4 day life drawing school and the one thing I couldn’t get was the head. I’ll try this approach. P.s. Your studies are fantastic! Great blog! 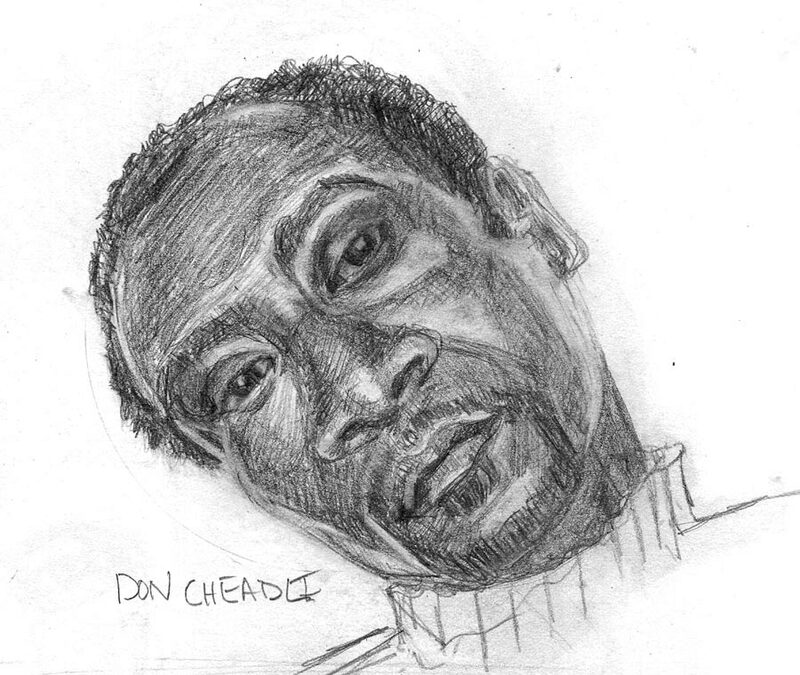 Love your sketches and your art life lessons. I’m always amazed by how completely enjoyable art making is, but how tremendously hard on ourselves we are about it. Thanks for visiting my blog too. My website was down when you did, but thankfully its back up! Yes, that’s so true. And I don’t usually realize I’m being hard on myself until after I’ve finished and then I think, why was I being so mean? I’m glad your site is back up. Your artwork is amazing! I love the Mae West bird with attitude! And I really appreciate your wonderful cataloging list on your blog. Thanks! 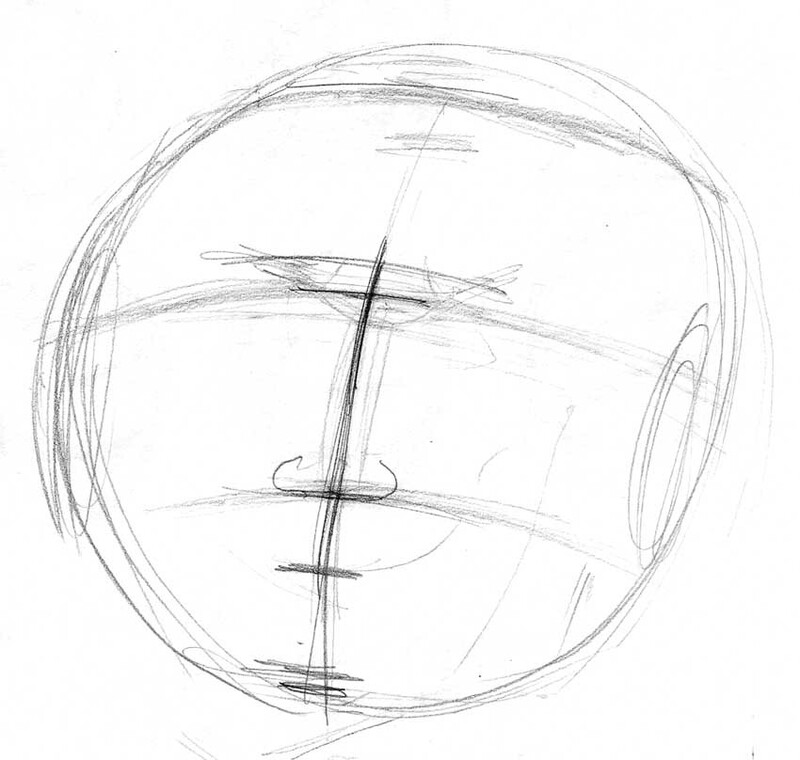 The problem with Loomis’ method is that you need to be pretty good at perspective to begin with in order to properly place the middle line and brow line on the sphere. if you look at his books, he kinda assumes that everybody can visualize and draw plane to sphere intersections. not that easy.